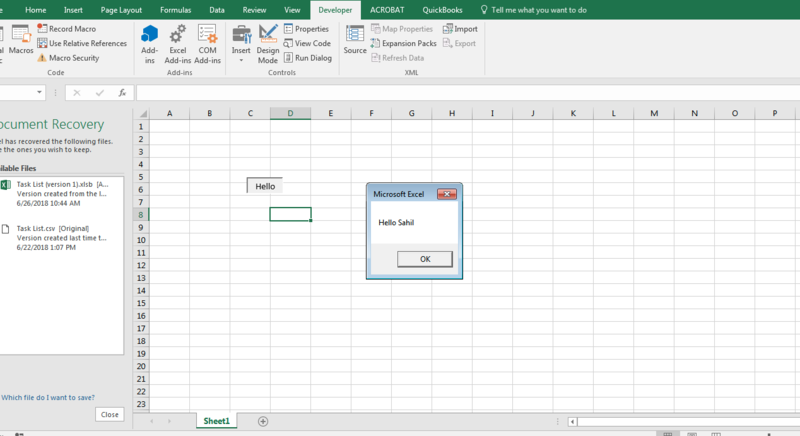 VBA (Visual Basic for Application) is a high-level programming language that is used for MS Excel. It uses English like statements to write instructions for the computer. 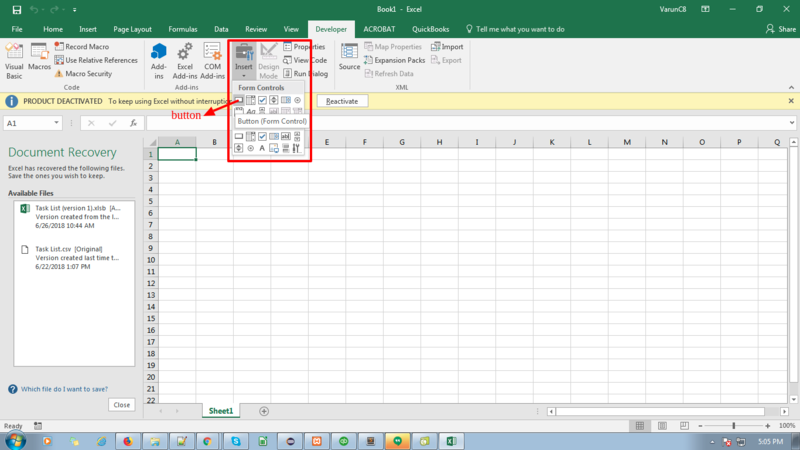 It also enhances the functionality of the excel by allowing the script to access excel sheets data. 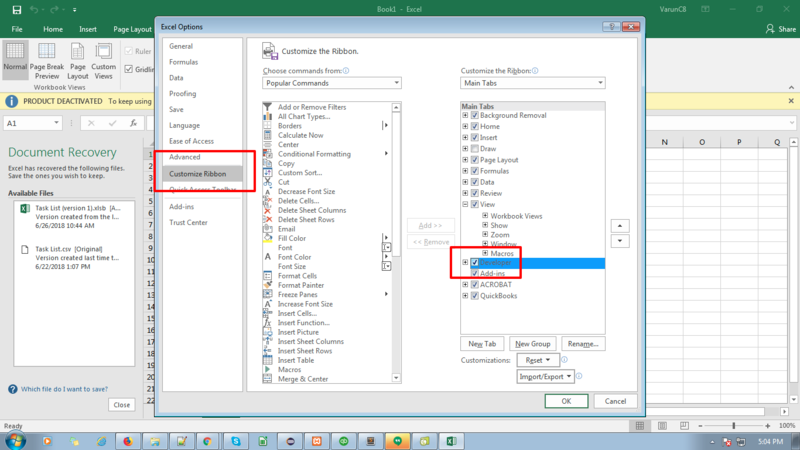 To start working in VBA in Excel, first, we have to enable Developer option in Excel. 4) Click on Customize ribbon. Note:- There will now be a visible developer tab in the Menu. 1) Select Developer option in the Menu. 2) Click on Insert and select a button (Drag the command button anywhere on worksheet). 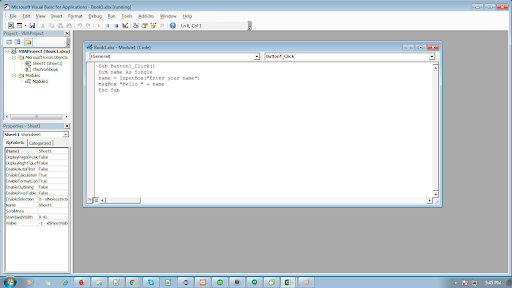 3) Write the name of Macro in the dialog window. 4) Right click on new button and select macro OR select macros from menu. 6) Write the code and click on save button. 7) Close the code window. 8) Go to the button and click on it. Note:- An input box will appear on click of the button. 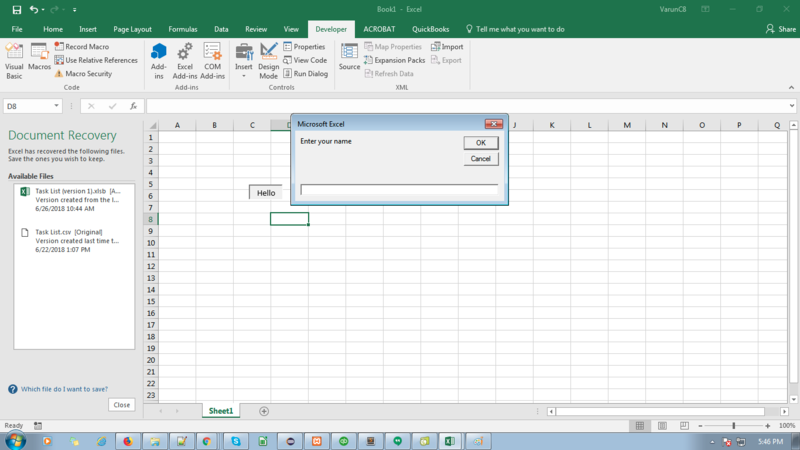 Enter the value and click ok. Then a message box will appear with the message Hello and value entered in the inputbox.